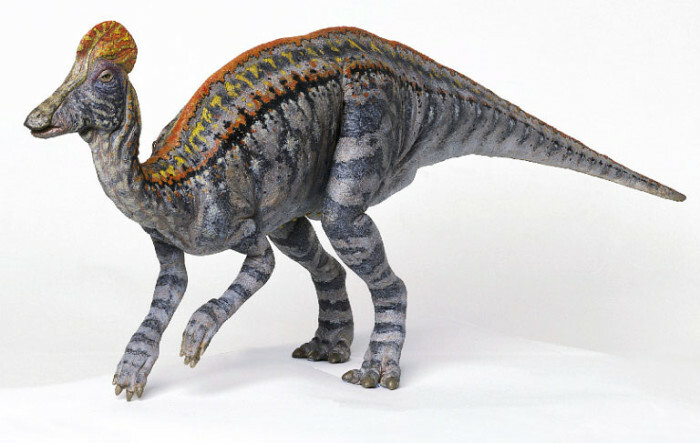 The hadrosaurids or the duck-billed dinosaurs have been classified by scientists and paleontologists into two prominent groups, namely the hadrosaurinae and the lambeosaurinae. The Corythosaurus belonged to the second group due to its crested skull.In terms of species there were about seven different variants of the Corythosaurus acknowledged by scientists. These included the C. excavatus, C. casaurius, C. intermedius, C. frontalis, C. brevicristatus and C. bicristatus. 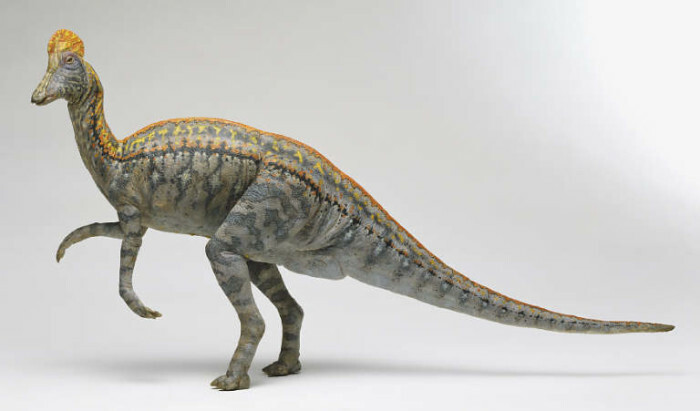 However in later years it’s thought that this classification was incorrect and therefore currently only the C. casaurius is recognized as the sole Corythosaurus species. 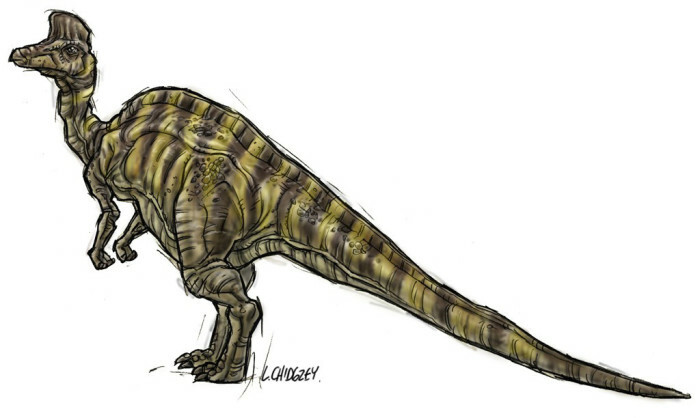 The Corythosaurus were over 30 ft tall and weighed about 4 tonnes. These were big dinosaurs and for this reason were also considered great prey for the likes of the Tyrannosaurus Rex, who was known to hunt them regularly. The frontal portion of their skull was usually flattened and protruded outwards to form a beak. As herbivores this was extremely helpful when they collected leaves and twigs from the branches of high trees.Interestingly enough no teeth were present in the front of the beak but despite this the Corythosaurus had an extremely well defined dental arrangement at the rear. A selection of almost perfect molars and incisors were present for the cutting, chewing and grinding of tough vegetation such as magnolia leaves, twigs, foliage, cycads, pine and conifer leaves. The skull of the Corythosaur was unique in another way, it accommodated nasal channels which granted the species a great sense of smell and the ability to create loud sounds. The use of high pitched sounds may have been helpful in alerting others of danger, food or simply to communicate over long distances.The limbs of the Corythosaur consisted of three digits and were padded, similar to the webbed feet of ducks. Initially this characteristic threw scientists off, leading them to believe the Corythosaurus was an aquatic species. It was only later that these theories were abandoned after realising the webbing was simply deflated padding.